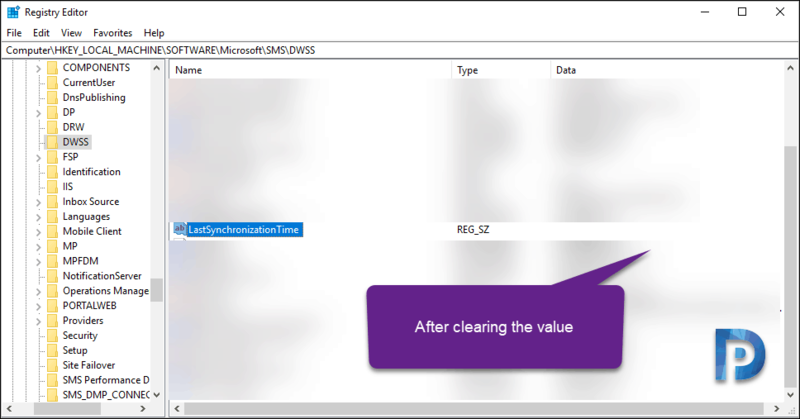 This post covers the steps to manually initiate SCCM data warehouse synchronization. In one of my recent post, I published an in-depth guide on data warehouse service point for Configuration Manager. 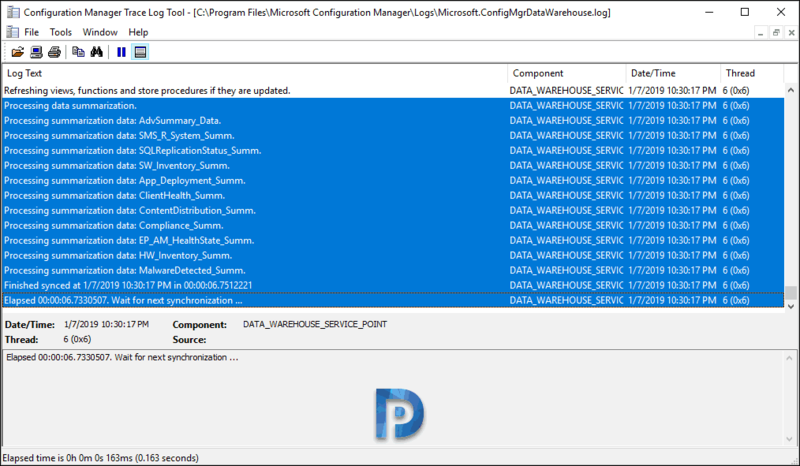 In that post, I covered the steps to install SCCM data warehouse service point. My next post was on workaround for the data warehouse reports error. When I shared the above post on LinkedIn, an user came up with a good question. I was asked if there was a way to manually initiate SCCM data warehouse synchronization. This question was probably awaited and asked because I didn’t cover about it in my previous posts. In addition to that, when you install data warehouse role, as of now there is no option to perform manual sync. While I am suggesting a workaround to initiate manual data warehouse sync, I am hoping to see this option added soon. With the sync option implemented, one can synchronize the tables whenever required. Until then please consider the below steps as an workaround to perform manual data warehouse sync. CAUTION – The steps covered in this post involves getting into registry and clearing a key. You should NOT perform these steps on Configuration Manager server running in production environment. Any other registry modifications related to data warehouse point aren’t recommended nor support. Hence be careful while you are performing registry changes. Therefore try the below steps only in your lab setup until the sync option gets implemented in current branch. 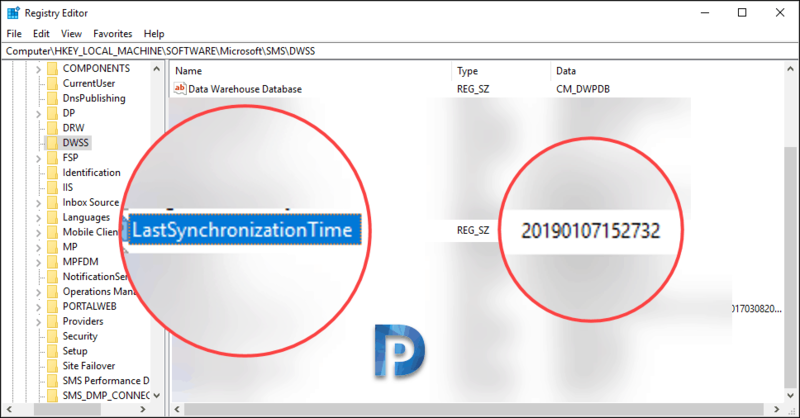 Before we manually initiate SCCM data warehouse synchronization, let’s find where the sync schedule settings are. Launch SCCM console. Click Administration workspace. Navigate to Overview > Site Configuration > Servers and Site System Roles. Right click Data Warehouse Service Point and click Properties. Here you can manually set the start time and date under Synchronization schedule. The recurrence pattern is either Daily or Weekly. Does the Sync happens if you modify Synchronization Schedule ?. 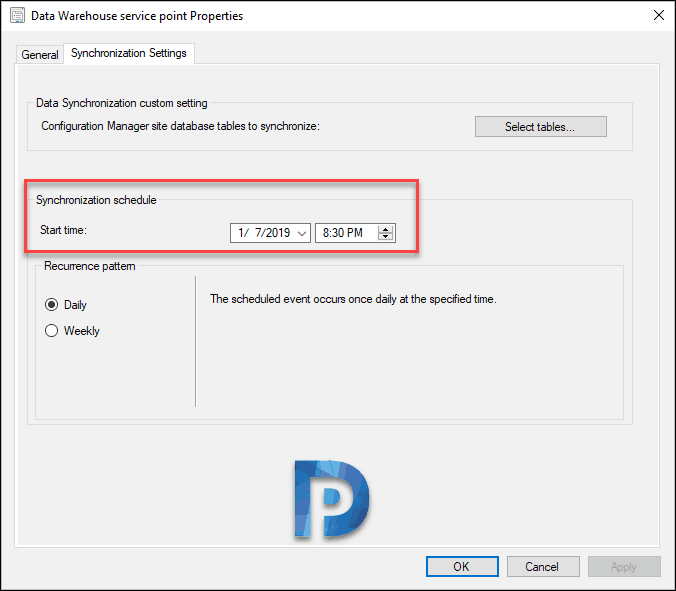 When you change the synchronization schedule under Data warehouse settings, it doesn’t force run a sync. Here are things that you might want to experiment but sadly it doesn’t work. If you are thinking to modify the sync start time to few minutes ahead of current time and expect sync to happen, it isn’t going to work. The sync also doesn’t happen if you change the clock time on the server few minutes behind the actual schedule. If you remove data warehouse role and reinstall it, sync is initiated but would you do that every time when you want to run sync ?. Absolutely No. We will now look at the steps to manually initiate SCCM data warehouse synchronization. Step 1 – On the primary site server, open registry editor. Navigate to HKEY_LOCAL_MACHINE\SOFTWARE\Microsoft\SMS\DWSS. Now look for the key “LastSynchronizationTime“. Seems like this key holds the latest synchronization schedule information. Step 2 – Double-click LastSynchronizationTime and clear the value. For example in my case the data/value was 20190107152732. Clear the value so that LastSynchronizationTime shows data as blank. Step 3 – After you perform the above step, open Services console. Look for service called ConfigMgr Data Warehouse synchronization service. This service synchronizes tracking data from Configuration Manager database into dedicated Data Warehouse database. 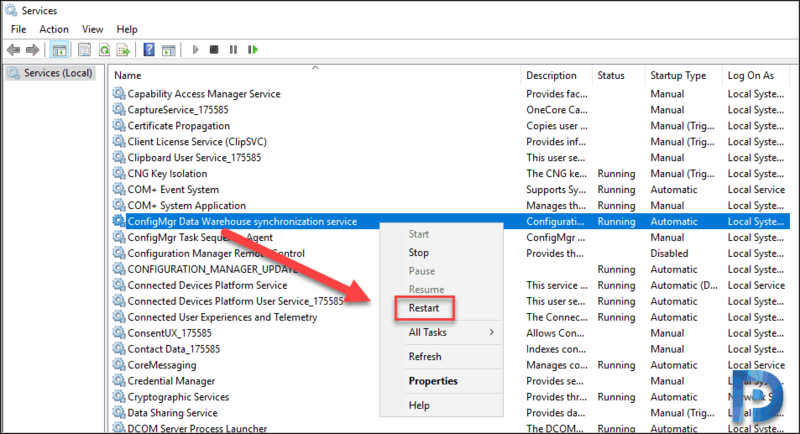 Right click ConfigMgr Data Warehouse synchronization service and click Restart. As soon as you restart the service, you should find the synchronization getting initiated. Open Microsoft.ConfigMgrDataWarehouse.log file to see the synchronization details. A network-related or instance-specific error occurred while establishing a connection to SQL Server. The server was not found or was not accessible. … The server was not found or was not accessible. Verify that the instance name is correct and that SQL Server is configured to allow remote connections. Please suggest for resolution if you contact us it’s great help us..